Vivid guided imagery of light, beautiful music, and the healing crystal bowls form the eight 5 minute meditations for your day and for your life of Radiance Pure Energy. This transformational program also includes a 30 minute Sounds of Pure Radiance meditation, instructions on how to create Radiance Remedies for a personalized healing program and a 40 minute teaching on how to use the Radiance Pure Energy system to heal your mind and body, find joy in life, rebalance your emotions when you are having a difficult day. These energetic activations will ignite the light of your soul bringing you deep integration and peace so you can be the calm in the chaos of our busy world. 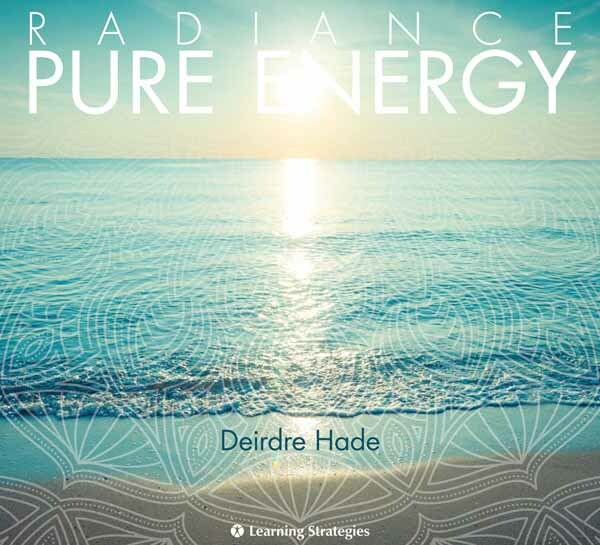 The Radiance Pure Energy Program gives you the tools you need to connect with your soul, by invoking calculated imagery, breath-work, and sacred sound to help you experience a profound level of cognizance. This process successfully integrates mental and physical frequencies allowing yourself to overcome emotional limitations. As a total system of healing. Each of the eight 5 minute Radiance meditations were created to press the re-set button throughout your day from morning to night whenever you need. This is a program for living for your day and for your life. 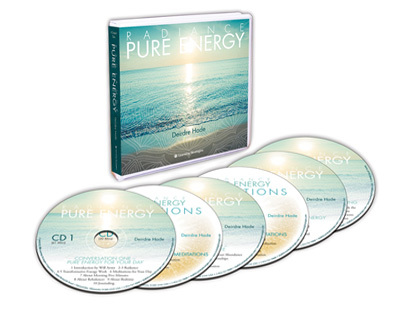 In only 5 minutes the energetic frequencies of Radiance will sooth you, uplift you and give you necessary wisdom to create your life. The Radiance Pure Energy program comes from ancient secret knowledge held in the Kabbalah’s Tree of Life mystery school. This ancient study of energy once lost is now available to you in a practical easy to use format. You don’t need to study for a lifetime to receive the benefits of this powerful spiritual lineage. After 20 years of study in the Kabbalah Deirdre has synthesized the core healing energies of the Tree of Life into simple 5 minute meditations. Thank you for joining me in having a Radiant Day of joy and well-being! – Kathy Davis, Clairmont, CA.